DynaRes is a simple to use toolset that will enable you to change the resolution of a camera’s rendertarget independently from it’s actual resolution. if you want to use a 1080p output but the target platform can’t quite handle the load, you can use subsampling to render it at eg. 1600 by 900 internally. You can apply supersampling to your game, eg. rendering it at 4k while still using a 1080p output to minimize aliasing. DynaRes is not an image effect, so subsampling will have a real influence on performance of your game as well as supersampling. 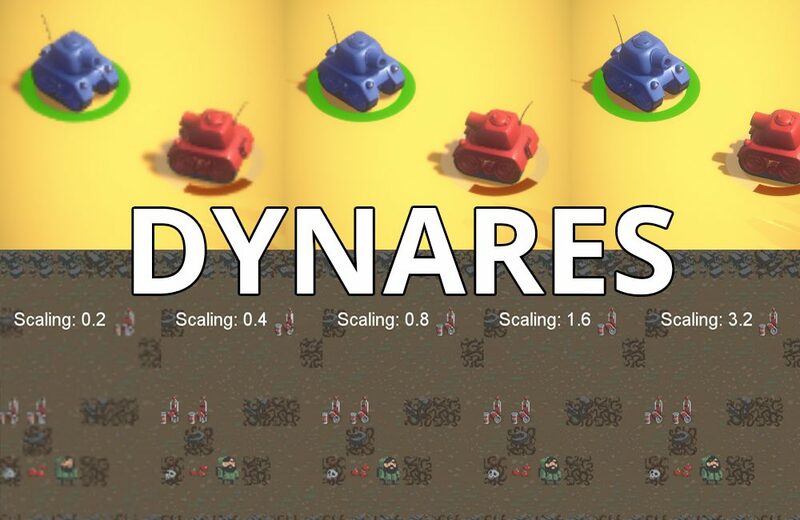 Get DynaRes in the Asset Store!